You may find on the Remote Management Device Map that your devices appear in the middle of the Atlantic Ocean. This will be due to your location settings on the device itself, in the Android settings menu. Firstly you should navigate to the Settings menu and find Location / Location Services, and select this option. Next you should ensure that the toggle is switched to the "On" position; it will be greyed out if it&apos;s disabled. There are usually three options here; High Accuracy, Battery Saving, and Device Only. It should not matter which option is selected, however the Battery Saving option does not use GPS and therefore may be a slightly less accurate location than the other two options. 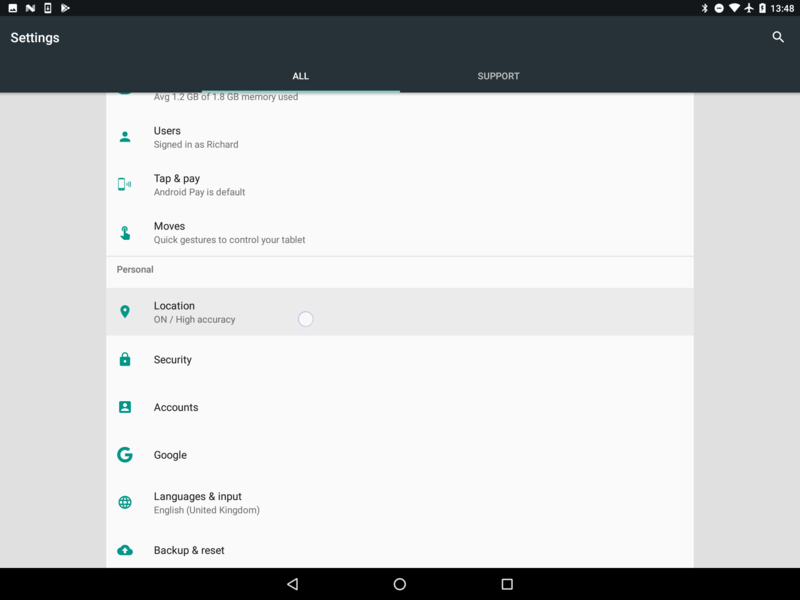 These menus may vary from one Android device to the next depending on the manufacturers settings menu. If you are not able to find these settings, you will need to refer to the manufacturers user guide for your devices. 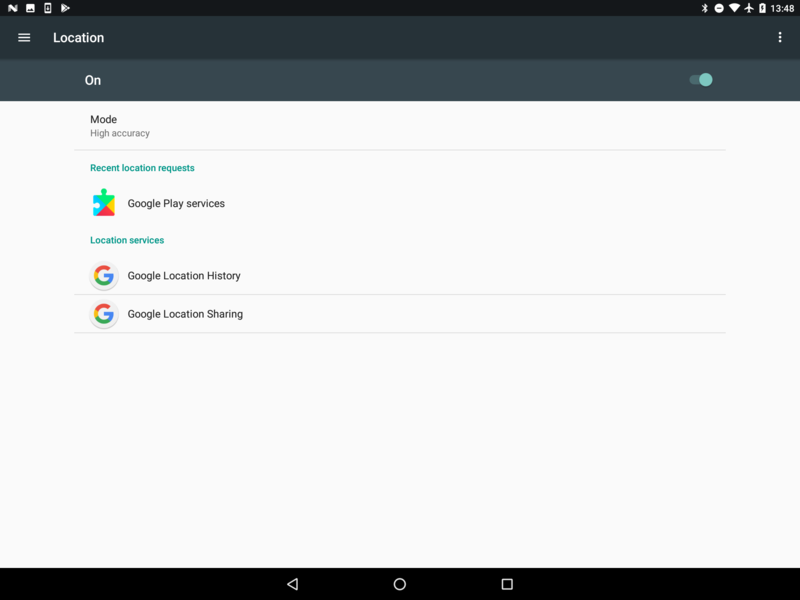 In order to correctly report your device location, Kiosk Browser also requires permission from the Android system to see this information. Without this permission, Remote Management will not be able to display the location of your devices on the Device Map. To check whether Kiosk Browser has been granted this permission, please see the permissions article for the quickest method of doing so (via Kiosk Browser Settings > About > Permissions). This will then list the permissions and if any are missing will show the dialogue box allowing you to grant them. If you do not have physical access or a remote connection (such as TeamViewer Host) to the affected devices, you will not be able to enable location services. There is no way for Kiosk Browser Remote Management to force these permissions through.